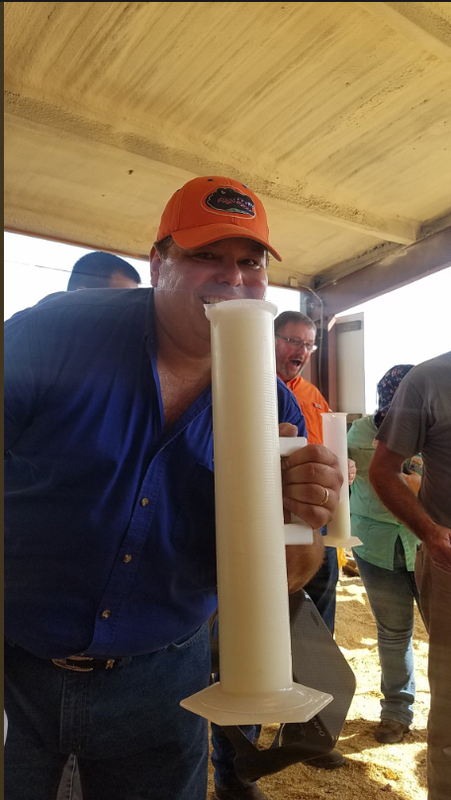 GAINESVILLE, Fla. — Chris DeCubellis, a statewide specialized agent for the University of Florida’s 4-H program, has just won the title of champion milker at the Sunbelt Agricultural Expo in Moultrie, Georgia. DeCubellis went up again three other experienced milkers form Georgia, Alabama and Kentucky. The competition lasted just four minutes, with each competitor milking one of four Holstein cows for one minute at a time before rotating. DeCubellis grew up on a farm and said he’s been milking cows since he was 3-years-old. “I just milk the way my dad taught me,” he said. That expert technique helped him produce the most milk during the competition. As a 4-H agent, DeCubellis passes on his wealth of dairy and livestock knowledge to the next generation. Florida 4-H is the youth development program of the UF Institute of Food and Agricultural Sciences Extension, and gives young people ages 8 to 18 hands-on experiences with science, leadership, healthy living and community service.